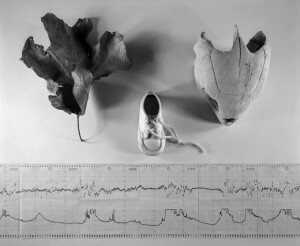 While some may view these images as still life, I see them as narratives dealing with people and environment. 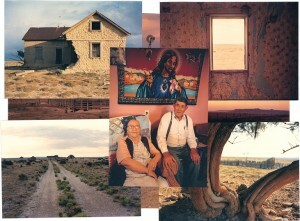 They are meditations on relationship, displacement, and change — themes drawn from the experience of living in New Mexico. 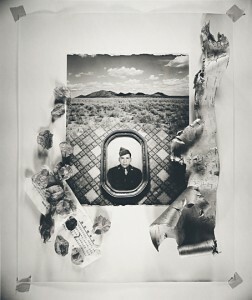 These palladium prints were composed from photographs and objects assembled on the bed of a copy camera. 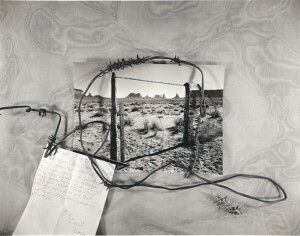 16×20 inch palladium prints. 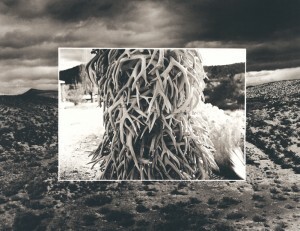 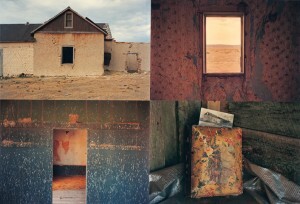 These photos were made for the NEA Survey, exhibition and book, called “The Essential Landscape,” organized by photography curator Steve Yates at the New Mexico Museum of Fine Arts. 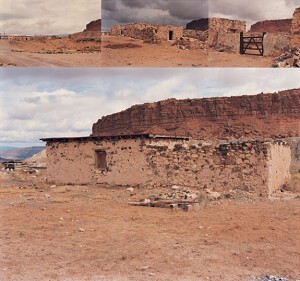 These color images are from three sites in New Mexico chosen to exemplify different dwelling modes — the Native American Pueblo, the rural Hispanic village, and the ranch complex. 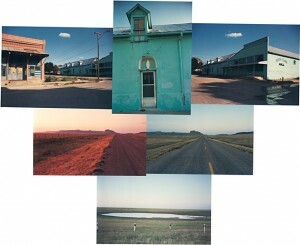 These places were in varying stages of old age and disuse. 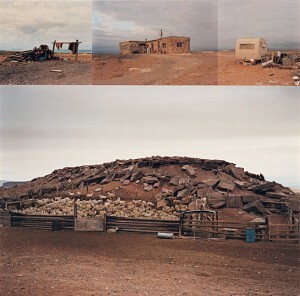 The exposures were made in sequences because these places seemed to exist at once in the past, present, and future — each with its own fiction as well as reality. 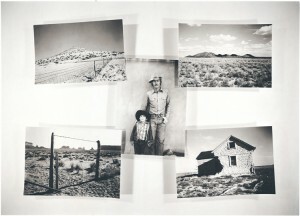 Ektacolor prints variable sizes up to 20x30inches from 5×7 inch contact prints.